Since 1994, the Martin Luther King Jr. holiday, which is observed every year on the third Monday in January, has also been designated as a National Day of Service. 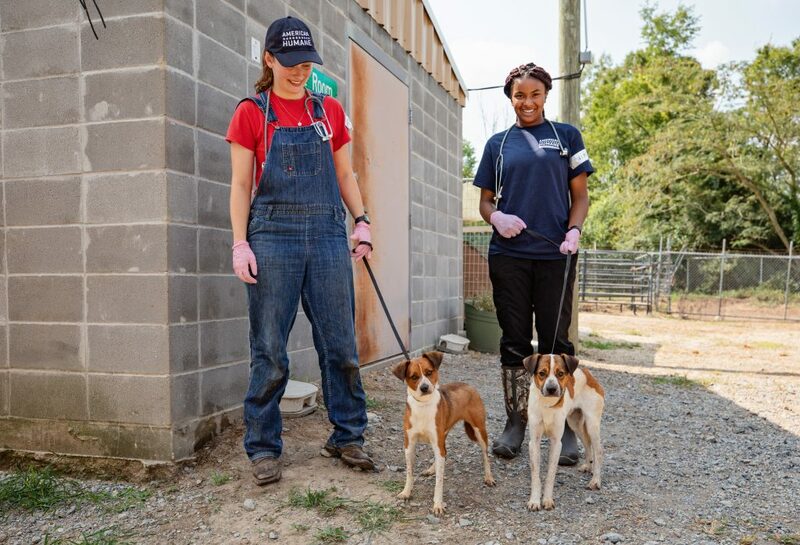 As Dr. King once said, “Everybody can be great because everybody can serve.” Whether you already volunteer on a regular basis or are looking for a place to start, here are a few ways to give back—and help animals in need. Animal shelters often house hundreds of animals who are in need of forever homes. This Martin Luther King Jr. Day, visit your local shelter with a donation of pet food or supplies they are in need of (call ahead or check to see if they have an AmazonSmile wish list with specific items), or inquire how you can start volunteering. Many shelters need volunteers to help feed, care for, walk, and socialize the animals before they find adoptive families. There are plenty of ways to give back to zoos or aquariums, who serve as arks of hope for unique and critically-endangered species. As part of Monday’s National Day of Service, see what types of volunteer opportunities your local zoo or aquarium offers. Near our headquarters in Washington, D.C., the Smithsonian’s National Zoo is currently accepting applications for volunteers to assist animal keepers, for exhibit interpreters, and for a group volunteer opportunity. Whichever opportunity you choose, you’ll be nearby animals while supporting the facilities that work to protect them in the wild. Our country’s natural and cultural resources, including National Park Service locations, are in need of volunteers to help maintain the beauty and impact of these places. From cleaning up the parks and picking up litter, to painting structures, trimming vegetation, or even serving as a citizen scientist to contribute valuable information about the plants and animals living there, there are plenty of ways to get involved. Visit Volunteer.gov, a portal that lists natural and cultural resource volunteer opportunities on public lands near you, to learn more. Looking for other ways to serve your community—or the planet? Join American Humane in building a more humane world. Learn about opportunities you can support our work here. Will you be participating in a day of service this Martin Luther King Jr. Day? Tag American Humane on social media, or send us a message to let us know how you’re giving back.